We can’t help but be nostalgic for those days when the end of summer meant a whole new wardrobe and, if we were lucky, a shiny new backpack. Why shouldn’t we get that still — even if the bag and the essentials inside it have changed? Because hitting the gym is always a good look. 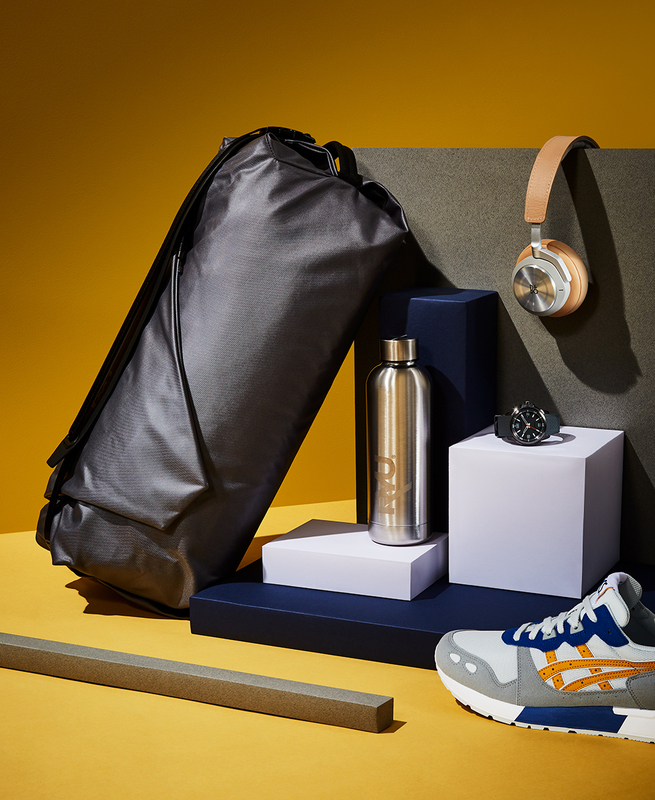 CLOCKWISE FROM TOP RIGHT: HEADPHONES ($600) BY BEOPLAY, WATCH ($295) BY CITIZEN, SHOES ($130) BY ASICS, WATER BOTTLE ($35) BY RYU, DUFFLE BAG ($160) BY RYU. Polished, precise, and always perfectly put together. 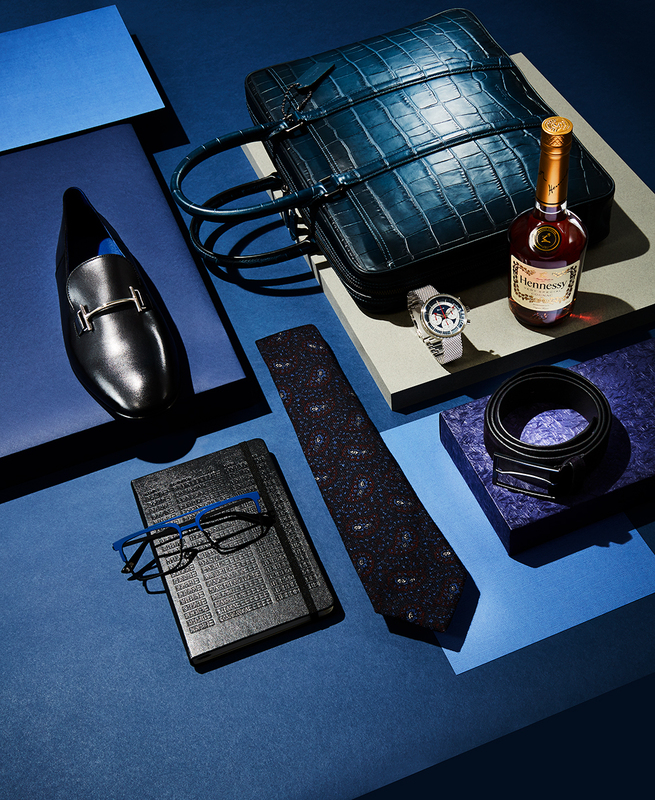 CLOCKWISE FROM TOP RIGHT: BRIEFCASE ($750) BY COACH, WATCH ($895) BY BULOVA, HENNESSY VSOP ($60), BELT ($125) BY BOSS, TIE ($285) BY ISAIA AT HARRY ROSEN, JOURNAL ($25) BY MOLESKINE AT INDIGO, GLASSES ($500) BY SEE, SHOES ($1,275) BY HERMÈS. Sleek and minimalist, with maximum style. 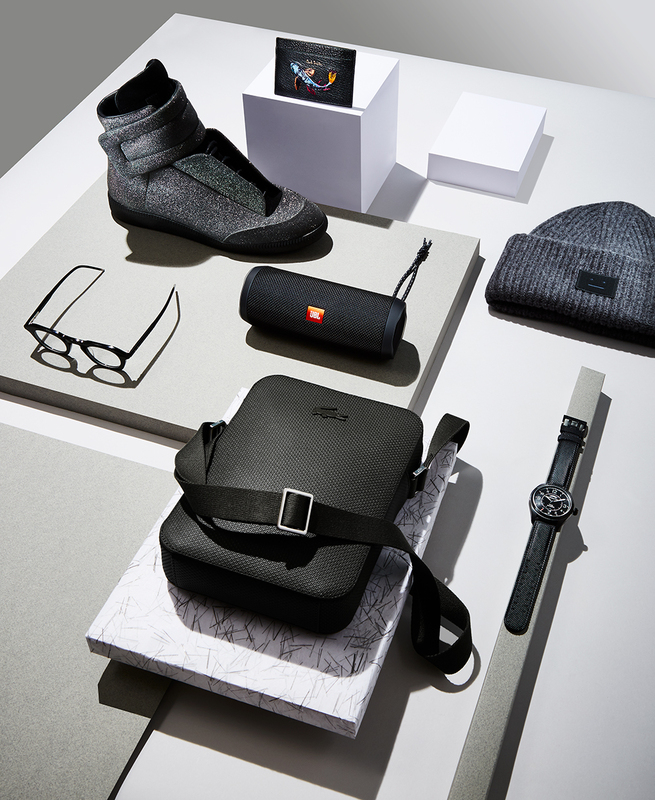 CLOCKWISE FROM TOP: WALLET ($325) BY PAUL SMITH, TOQUE ($195) BY ACNE AT HOLT RENFREW, WATCH ($1 ,230) BY HAMILTON, CROSSBODY BAG ($175) BY LACOSTE, SPEAKER ($220) BYJBL AT INDIGO, GLASSES ($625) BY THOM BROWNE AT HOLT RENFREW, SHOES ($1,240) BY MAISON MARGIELA. Still can’t get over those high school knapsacks? You don’t have to. CLOCKWISE FROM TOP: BACKPACK ($105) BY VENQUE AT SIMONS, SHOES ($185) BY BANANA REPUBLIC, WALLET ($275) BY COACH, WATCH ($625) BY VICTORINOX, BELT ($30) BY UNIQLO. 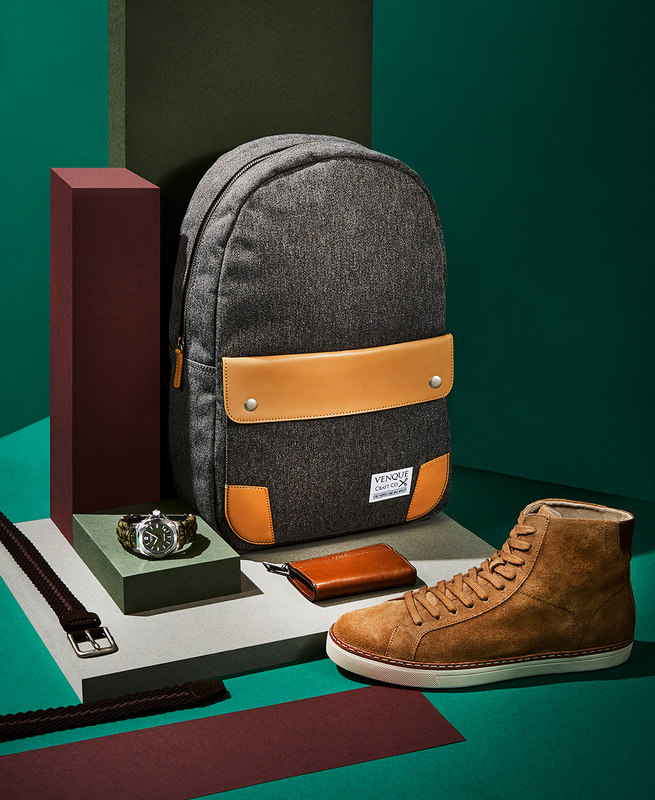 A subtle upgrade for the man who already spends his life packing. 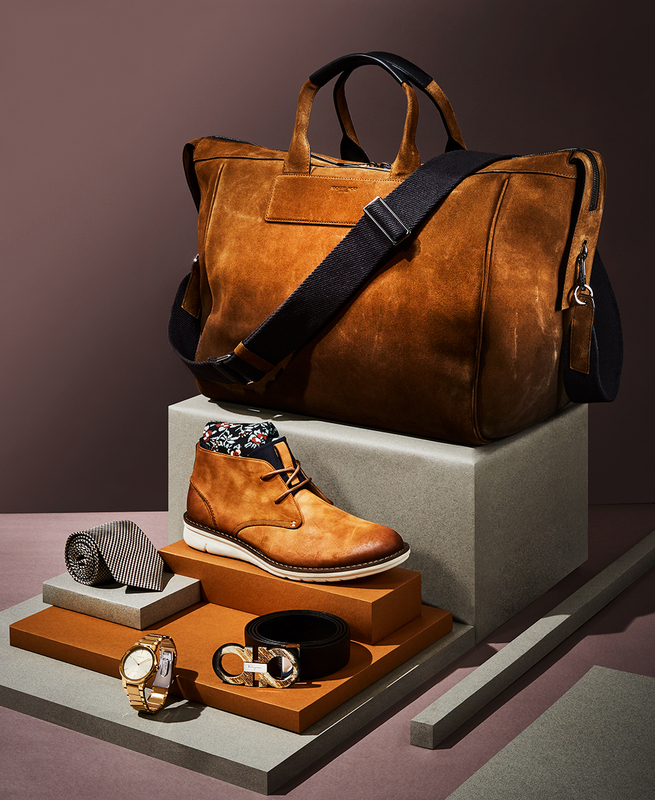 CLOCKWISE FROM TOP: WEEKENDER BAG ($625) BY MICHAEL KORS, BELT ($605) BY SALVATORE FERRAGAMO AT HARRY ROSEN, WATCH ($350) BY CITIZEN, TIE ($240) BY HERMÈS, SOCKS ($20) BY FRANK AND OAK, SHOES ($125) BY KENNETH COLE. Who says practical can’t also be fun? 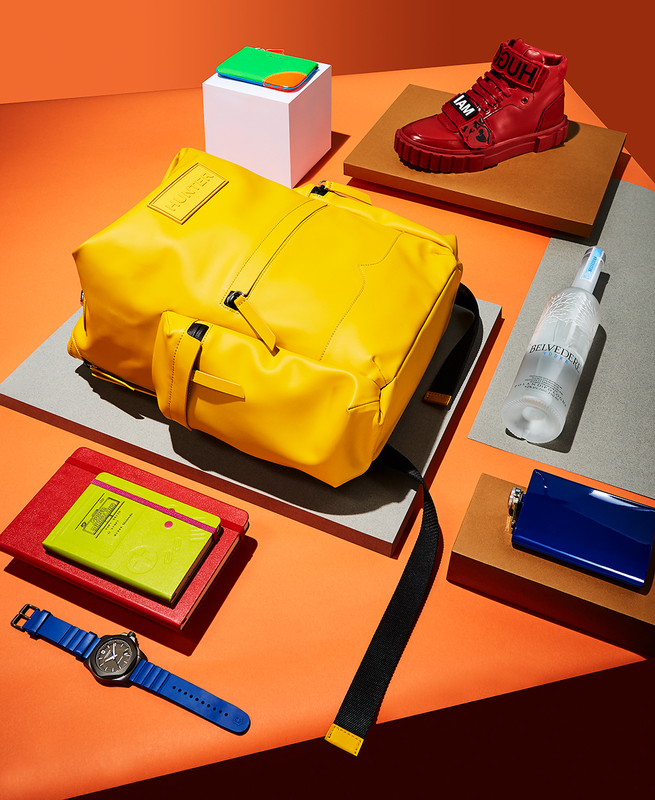 CLOCKWISE FROM TOP: ZIP POUCH ($115) BY CDG AT HOLT RENFREW, SHOES ($425) BY HUGO,GREY GOOSE VODKA ($50), FLASK ($30) BY WILLIAMS-SONOMA, WATCH ($650) BY VICTORINOX, NOTEBOOKS (FROM $20) BY MOLESKINE, BACKPACK ($325) BY HUNTER.